Turning your house into a smart home is not won’t only make your life easier but it will also help you save money and energy. 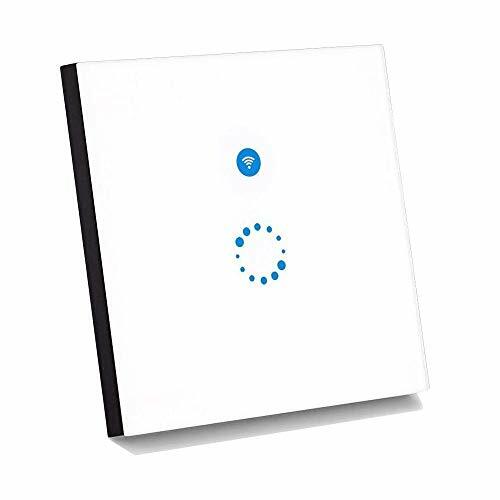 There are a lot of smart devices that you can install in your home, and a smart WiFi light switch is one of the most convenient. 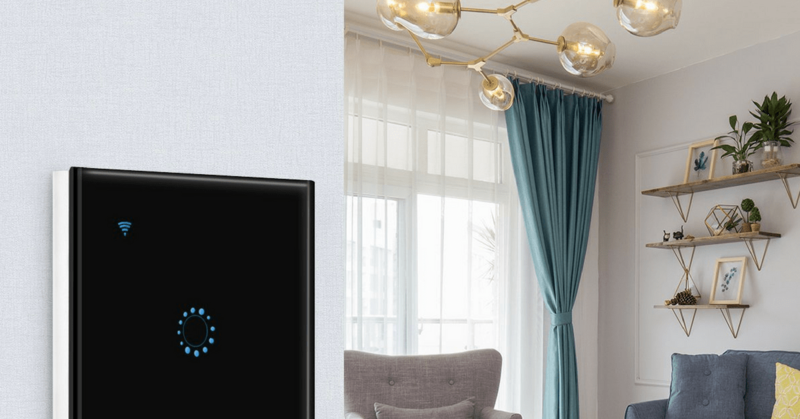 It’s nothing different to your regular light switch, but it offers more than just turning the lights on and off because you can control it even when you’re miles away, using your smartphone. With these smart Wi-Fi light switches, you will never have to worry about whether you turned off the lights or not! You can also check out our reviews on the Best Smart Power Strips of 2018 and Best Wireless Doorbells of 2018. 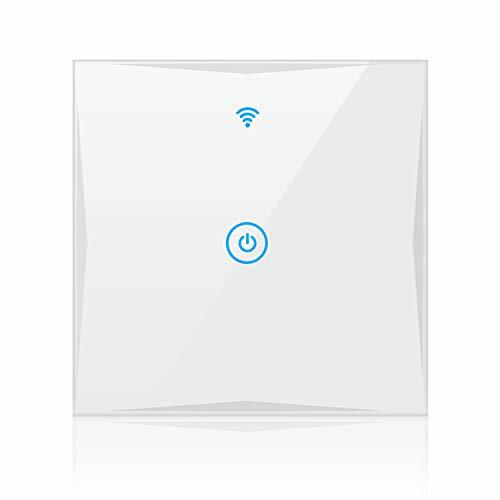 Smart WiFi light switches can be easy to install, but some models may require the help of a professional to work correctly. Aside from the ability to be smartphone-controlled, a lot of these devices are also compatible with Amazon Alexa and Google Home so they can also be voice-controlled. There are a lot of other features that come with this innovative device, and it can be difficult to choose which one best fits your home. Luckily, you don’t need to look at the wide selection of smart WiFi light switches on the marketplace. I already did the homework and researched for the best ones I could find. Each product was carefully reviewed to justify the claim that they are actually the best ones that offered on the market today. The RuiDaXiang Smart Light Switch is currently the bestselling smart light switch on Amazon. It allows you to control your lights from anywhere in the world with the help of the “Tuya” app. This is also helpful when you need to get up from bed in the middle of the night as you don’t need to find the light switch in the dark. The app allows you to schedule the time you want the lights to switch. You can also turn on Away-Mode, so the lights are kept on to make it appear like someone’s at home. Aside from being app-controlled, the RuiDaXiang Smart Light Switch also works with Amazon Alexa and Google Home for voice control. The light switch itself has a super sensitive touch control made with a high-quality waterproof tempered crystal glass touch panel that can be compared to ten pieces of ordinary glass. It’s also safe for the family because it’s scratch-proof, water-proof and fireproof grade. Plus, it has a sleek design which makes it fit for any interior design. 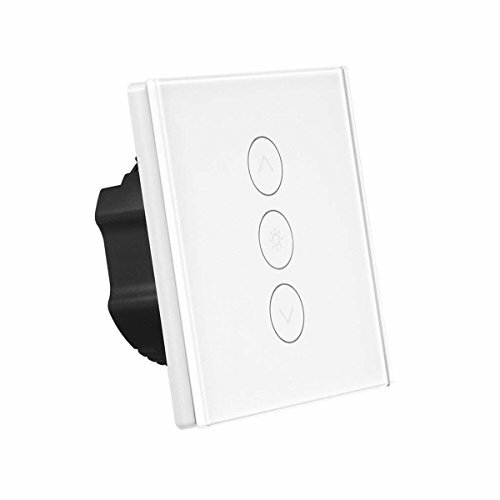 The Sonoff White Glass Touch Sensor Light Switch can be controlled with an app called eWeLink. It’s also compatible with Amazon Alexa (Echo and Echo Dot) and Google Home for voice control. On the smartphone app, you can set up to 8 groups of timer settings to turn cut electricity costs. 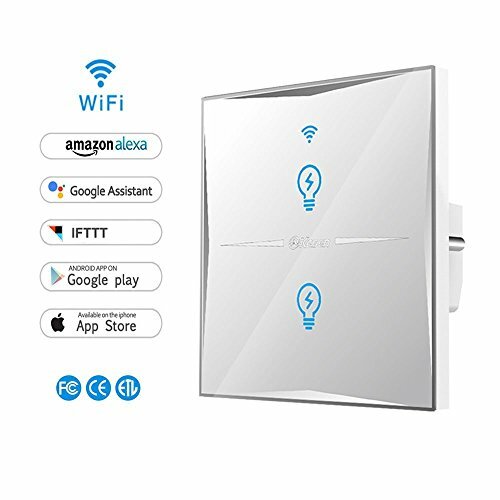 In addition, the whole family can connect the app to the switch so you can all get a fair share on controlling the smart WiFi light switch. To correctly install the Sonoff White Glass Touch Sensor Light Switch, you will need the help of an electrician because it a neutral feed is required. Once you have it installed, you will undoubtedly notice how helpful energy-efficient this smart device is. You can control your lights even when you’re on a business trip or vacation. 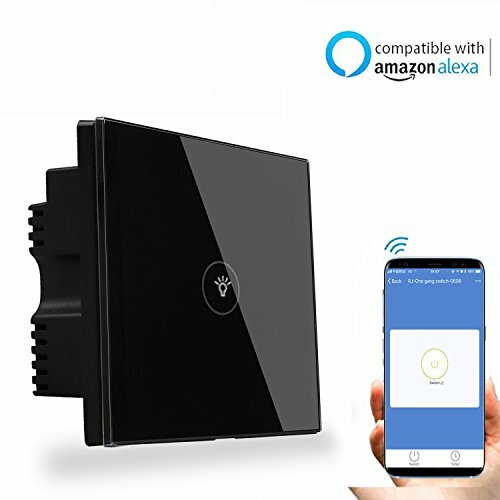 The SAINKO Smart Light Switch can be controlled with a simple voice command as it’s compatible with Amazon Echo, Dot, Tap and Google Assistant. You can also manage your lights and other appliances connected to the smart switch from anywhere with the use of a smartphone app. It also allows you to schedule the time you want your lights on and off. You can set your lights to turn on as soon as it gets dark and program them to turn off as the sun comes up. This smart WiFi light switch helps you create an efficient power consumption which can also contribute to saving the world’s natural resources. The SAINKO Smart Light Switch also offers an “Away Mode” which turns your lights on and off at random intervals, giving the appearance that there’s someone inside your home. If you’re into dark colours, this Windy5 WIFI Smart Touch Switch would fit your taste because it’s one of the few that are in black tone. It’s a modern and stylish alternative to your traditional light switches. 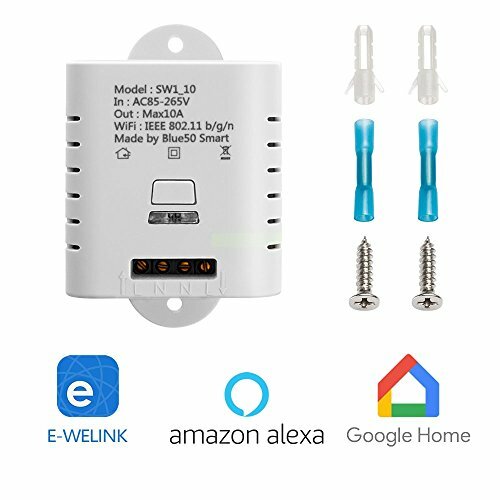 It can be controlled using the eWeLink app via WiFi, but it can also be used even without network connection. You can turn the lights on and off or adjust the brightness no matter how far you are from the switch, even if you’re miles away. The Windy5 WIFI Smart Touch Switch has a highly sensitive touch control with a life expectancy of more than ten years – that’s up to 20 million touch times! This device also works with Amazon Alexa for voice control. It’s designed with protection circuits, and it automatically switches off when it detects overloading. If you have a limited budget in mind, you can still own a smart WiFi light switch. The MiMoo Smart Wireless WiFi is a budget-friendly model because it doesn’t have a touch-sensitive control, and that’s fine if you’re really fussy about that particular feature. Aside from that, the rest of its features are very similar to the more expensive brands. A smartphone app can control it, and it’s also compatible with Amazon Alexa and Google Home. The MiMoo Smart Wireless Wifi Switch can connect with 97% of your household appliances, and you can control everything with just one switch. Plus, you can add multiple switches and control all of them with one app. You can either set a scheduled timing, loop timing or a countdown timer. 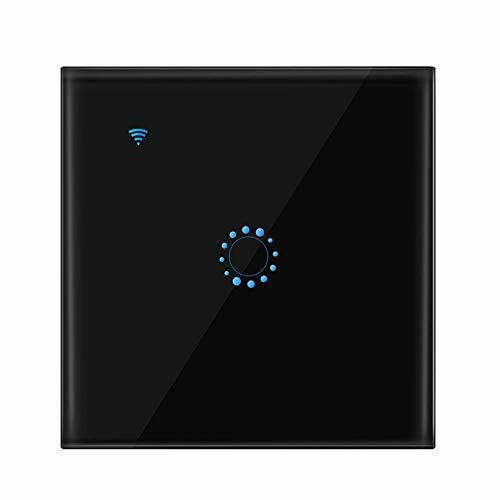 The A0ZBZ WIFI Smart Touch Switch is another WiFi light switch that’s in colour black. It’s made of flame-resistant ABS shell and toughened glass panel that ensures excellent durability. Other than that, it can also be remotely controlled anywhere in the world using a smartphone app that’s compatible with both iOS and Android OS. It can also work with Amazon Alexa and Google Home so you can control your lights via voice command. By using the eWeLink app, you can set up to a maximum of 8 groups of timer settings. Plus, everyone can take control because one switch can be controlled by up to 20 phones. The ALLOMN Smart Dimmer Switch doesn’t just turn your lights on and off, but it also dims the light to save more electricity and extend the bulb’s life. It’s compatible with Amazon Alexa and Google Home so you can simply say, “Alexa, set the bedroom light to 50 percent” and it dims out the lights making it more relaxing. You can control this smart WiFi light switch no matter where you are in the world using the smartphone app. Aside from being able to adjust brightness and switching the lights, you can also set multiple timer settings on the app. Multiple users can control the ALLOMN Smart Dimmer Switch with just a single app.